I was sceptical about ‘going green’ until I participated in the Green Foundation initiative at the Eden Project in 2010/11. The intensive programme helped to crystallise both the environmental challenges and the opportunities for businesses prepared to become trailblazers. 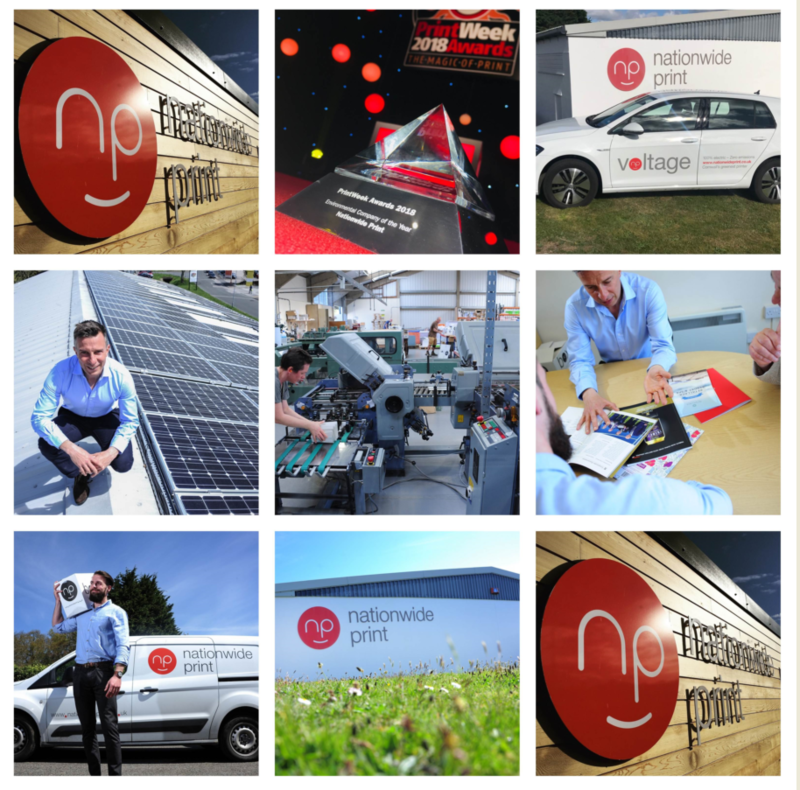 It really dictated the direction of Nationwide Print for the current decade, setting us on course to win that very special PrintWeek Award in 2018. There is an obvious ethical dimension to investing in all things green but there are other, less magnanimous reasons. For a start, consumers are becoming more switched on and supportive of best practice – and ready to lambast companies publicly if they fall short of the mark. Economically, energy prices are only going in one direction, so buying new technology or making efficiency savings will pay off eventually, even if you have to wait a while to reap the rewards. Here’s my distilled guide to putting your business out there on the green radar, applicable to businesses of all sizes and types. Be bold but stagger large investments. Small steps, like energy efficient hand dryers, are easy to implement and effective. However, if your business is energy-intensive then you’re always going to have to make hefty investments to really reduce your carbon footprint. If you can stagger these investments to lessen the risk, then all the better. For example, we installed our large solar array here at Nationwide HQ in two hits and so far we have generated nearly 300,000 units (Kwh) and saved almost 200,000 kg of carbon. Think big but have a sensible strategy. Look at the wider picture and the longer term. Decide where you want to be in 10 years time, i.e. what technology you want to work with and how you envisage your own internal energy systems working, and plan the steps you need to take to achieve that. There’s nothing more frustrating than buying a piece of kit which is soon an unnecessary cog in the machine or quickly surpassed by something far better. For example, we’d love to have our own energy storage but the technology just isn’t quite right yet; hopefully the breakthrough will come soon. Keep up to date with new technology and incentives. Unless you’re a whiz with green technology, accreditation and government schemes, this stuff can be befuddling. Make sure you’re up to date by attending green areas and talks at conferences and trade shows specific to your industry. For us, that means Drupa International and PrintWeekLive (UK), both of which have been fertile hunting ground for green ideas and impetus in recent years. If the size of your business warrants it, then a Sustainability Officer would probably be a good investment. Invest in people as well as technology. An environmentally informed, productive workforce is a really important element of sustainability. Make sure the behavioural patterns of your staff consider energy and waste, and that know how to use equipment in the most efficient way. It’s all well and good having an ‘eco’ setting, but useless unless your staff know how (and why) to use it! Shout about your victories and share your resources. Publicise your milestones, put yourself forwards for awards, share your knowledge and slap your credentials all over your website. People rightly care about this stuff, so don’t hide your learning and achievements away at the bottom of the ‘About’ page. I’ve been proudly driving round in our fully electric Nationwide Print eGolf for the last few months, attending meetings and delivering to local clients and the response has been fantastic. We’re also pleased to allow the public to use our electric charging point, which draws energy from our solar panels of course – now that is satisfying!